A major newspaper last week offered some advice to tenants: If you think you may ever move again, pay attention to your credit. The article reveals every landlord’s secret weapon against bad tenants. Conscientious landlords are going to run a credit check on every rental applicant under serious consideration. 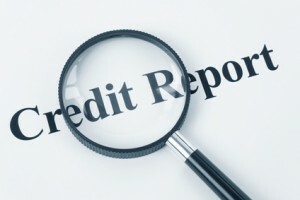 When they do, this credit report will paint a picture of whether the individual would make a good tenant. It also will point out those applicants who lack the financial responsibility to enter into a lease. As the article points out, landlords are increasingly using tenant screening services which provide quick and easy access to a tenant’s credit history. There is no place to hide — unless the landlord chooses not to access the information. Tenants are told to expect trouble from landlords if they have bad marks on their credit. The article suggests that a prospective renter should gather up all the documentation they can about their credit faults, and disclose the problems to the landlord upfront, to demonstrate integrity. Alternatively, tenants should anticipate having to offer up a guarantor with good credit. A tenant’s dilemma doesn’t end with previous mistakes. Knowing that the next landlord will be checking credit is a crucial incentive to be paying rent on time, and taking good care not to damage the current rental. There are only so many bridges a tenant can burn. Landlords can help tenants stay on track with on-time rental payments if they report tenant’s pay habits. This service, available through TVS Tenant Verification Service, a credit-reporting agency, is available to members. By recording their pay habits each month, tenants are reminded that someday, they may have to move. And when that happens, they don’t want to find themselves left out in the cold because of bad credit. As always I as a landlord agent find your advice and remiders invaluable, lest we over-look the facts. Thank you.